Here will be yet another current example to demonstrate that all U.S. mainstream ’news’ media hide from their respective publics that the U.S. Government is lying, when the U.S. Government lies — i.e., that all of the mainstream ’news’ media in America hide the truth, when the Government itself is lying. 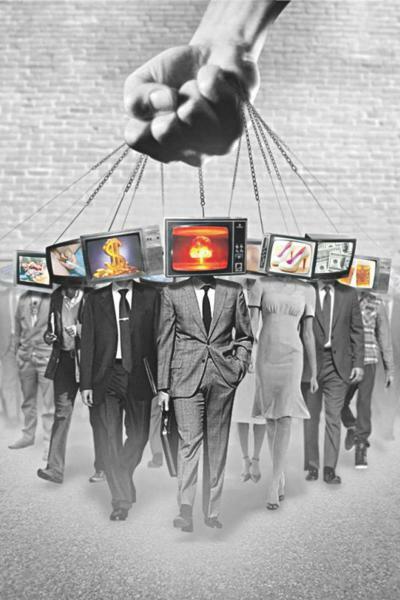 In other words: the U.S. mainstream ’news’ media are propaganda-organs for the U.S. Government. That ‘news’-report, since it’s from The Week, is about what other U.S. propaganda-agencies are saying, and it’s true about that (they actually are saying this), but it’s summarizing from two very un-trustworthy ‘news’-media, one being a tweet from Senator Rubio on 18 February 2019 that was immediately posted at sites such as ABC News, and the other being a ‘news’-report from the Miami Herald, which added that this shipment came from USAID — and yet they ignored that USAID is a major part of almost every U.S. coup. Of course, that’s an attempt at theft of the property of another sovereign nation — theft of natural-resources assets of Venezuela, from the people who live in Venezuela — it’s a huge theft-attempt, which is being bragged about by the U.S. regime. Though they’ve done this type of heist in many instances during the past few decades (including in Iraq, where U.S. oil companies now extract), Bolton’s outright bragging about it is certainly extraordinary, and thus is major news. This was major news that however hasn’t been focused upon except in the few honest sites, all of which are non-mainstream (most non-mainstream sites are just as dishonest as America’s mainstream ones are — they’re fake ‘alt-news’ instead of authentically against false ‘news’, but all mainstream national news-sites routinely report lies stenographically, as if what the Government says is always true, and so they’re propaganda). The GrayZone Project is one of the few honest sites, and Norton luckily discovered this huge news-break from the blunder by Fox Business Channel to have aired it — that revelation having been a freak event by America’s major media, a rare slip-up. Not long ago, Venezuela was the wealthiest nation, by far, in South America. [The allegation that Venezuela’s economy has done less well since Hugo Chavez became President on 2 February 1999 is disconfirmed by World Bank data showing that Venezuela reached its all-time-high economic-growth rate in 2004, 5 years after Hugo Chavez became democratically elected and took office as the country’s President. The economy rapidly declined as soon as the U.S. started its coup-attempts. Furthermore, a scientific study of the data showed in 2017 that: “Mexico’s and Venezuela’s numbers on this question [[of ‘Where would you place our country ten years ago?’”]] with a 1 to 10 scale, from absolutely democratic, to not democratic, throughout the period of 2013-2017, compared to those of other countries in the region, clearly show Venezuela as the country where the highest percentage of people believed that democracy had increased during the 2003-2013 decade. Mexico ranked in twelfth place, out of eighteen surveyed countries. “This comparison helps to dimension the solid sense that Venezuelans had about the strength of their democracy during the Chávez administration, and the weak one that Mexicans had.”] But years of socialist rule have brought this once-thriving nation to the brink of ruin. [That too is false — socialism wasn’t the cause of Venezuela’s economic come-down. Venezuela’s boom-time was the period of massive public-debt buildup prior to the exceptionally high oil prices in 1973-1985, as shown in “Figure 4: Venezuela Real GDP per Capita”. Moreover, as the CIA-edited and written Wikipedia says about Venezuela: ”The election in 1973 of Carlos Andrés Pérez coincided with an oil crisis [[the OPEC oil-embargo]], in which Venezuela’s income exploded as oil prices soared; oil industries were nationalized in 1976. This [oil-nationalization and oil-production investment all at the worst possible time] led to massive increases in public spending, but also increases in external debts, which continued into the 1980s when the collapse of oil prices during the 1980s crippled the Venezuelan economy.“ That “oil crisis” was actually the period of exceptionally high oil prices resulting from Israel’s 1973 invasions and OPEC embargoes, but it was actually hell for Venezuela because Venezuela was losing money on each barrel of oil sold because only the Arabic countries and Iran were able to sell profitably their oil after the period of OPEC”s oil-embargo. Venezuela, seller of the world’ dirtiest oil, after 1976 was losing money on each barrel, when they had to repay all those foreign loans amassed during the boom-period.] That’s where it is today. Consequently: Only people who possess a thoroughly scientific orientation toward confirming and disconfirming allegations, are capable of extracting from such ‘news’ a realistic understanding of what’s actually happening. The vast majority of people can be fooled, and they can be fooled constantly and even for (as in the instance of America, since at least 2003) decades, and yet still trust the institutions that have deceived them so mercilessly through all of those decades. This is the major reason why the United States is a dictatorship, not a democracy — and why any ‘news’-site which calls the U.S. a ‘democracy’ is thereby clearly demonstrating its untrustworthiness. But, of course, only honest news-reporting organizations are publishing this report. And there will probably be very few that will do that, though all are receiving it for publication.